 The University of Texas at Austin collaborates with entrepreneurs, angel investors, technology incubators, venture capital firms, large enterprises, and others within the ecosystem to commercialize technologies developed by university researchers. The Office of Commercialization collaborates with the Innovation Center who provide advice, answer questions and offer connections that can help turn projects into successful startups or into significant licensing opportunities. Who decides how to commercialize an invention? The Vice President for Research and OTC, along with the inventor(s) and the principal investigator/research manager, shall jointly decide how, when, and where the intellectual property is to be protected and commercialized. OTC will inform the inventor(s) of relevant deadlines and commercialization activity. If the inventor(s) wish, the Regents’ Rules, Rule 90101 states that they may “ give reasonable input on commercialization of inventions; provided however, that the president(s) of the applicable institution(s), or his or her designee(s), in his or her sole discretion, will make final decisions concerning whether and how to develop and commercialize an invention.” be actively involved in the development of the commercialization strategy. How does OTC identify and market to appropriate prospects and audiences? Leveraging existing relationships of OTC and/or inventors. To expose university inventions to strategic and relevant audiences, OTC cultivates relationships with venture capitalists and other investors, entrepreneurs, existing companies, city and state governments, and economic development entities. Information and marketing materials presented to these audiences include short non-confidential profiles (listed on the OTC website as “Available Technologies”), customized communications for targeted companies and industries, and information produced by inventors, such as publications, posters, and presentations. It can take weeks to several months or longer to locate a potential licensee, depending on many factors, including the technology’s stage of development, competing technologies, availability of patent or other legal protection, and the size and intensity of the market. The earlier the invention is in the product development cycle, the longer it typically takes to attract licensing prospects. How does the university choose a licensee? OTC has a responsibility to maximize the benefit of each technology through the most promising proposed commercialization path. A licensee is chosen based on its ability to commercialize the technology for the benefit of the general public. Sometimes an established company with experience in similar technologies and markets is the best choice. In other cases, the focus and intensity of a startup company is a better option. How can inventors assist in marketing an invention? The inventor’s active engagement can advance an effective marketing strategy. Inventors can help identify market applications and specific licensing prospects, based on their relationships and technical and industry knowledge. Once companies become interested in learning more about the invention, an additional commitment of time may be required from both the inventor and OTC to provide requested scientific and technical details and other information. What role does OTC play in supporting new venture creation? Acting as a guide and mentor to inventors as they navigate the startup process. How many startups has OTC launched? OTC has assisted in the launch of 82 startups. Who should I contact at OTC about a startup venture? If you are interested in creating a startup, contact licensing@otc.utexas.edu. What services does the Innovation Center provide to UT startups? The Innovation Center is a group of experienced entrepreneurs dedicated to helping professors and students transform their ideas and discoveries into innovations. The Innovation Center regularly meets with new and serial inventors to provide advice, answer questions and offer connections that can help turn their projects into successful startups or into significant licensing opportunities.